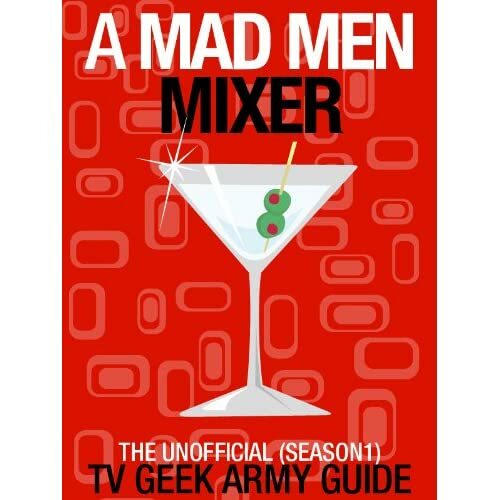 Posted on Tuesday, November 15, 2011, by Eric - TV Geek Army "Revered Leader"
In September, I speculated about what Mad Men and Sterling Cooper Draper Pryce circa 1970 might look like. Little did I know that Matthew Weiner, the famously tight-lipped Mad Men creator and executive producer when it comes to teasing details about upcoming seasons, would drop an enormous and tantalizing hint about what the very end of the series might hold. During a live chat with Curb Your Enthusiasm's Jeff Garlin (which benefitted Planned Parenthood), Weiner revealed that he already knows how the series will end its projected seventh season, news unto itself for Mad Men fanatics. "I do know how the whole show ends," Grantland reports Weiner as saying. "It came to me in the middle of last season. I always felt like it would be the experience of human life. And human life has a destination. It doesn't mean Don's gonna die. What I'm looking for, and how I hope to end the show, is like… It's 2011. Don Draper would be 84 right now. I want to leave the show in a place where you have an idea of what it meant and how it's related to you." If we think of the ways that great television series have ended, it may be that Weiner will look to Alan Ball. Ball's Six Feet Under ended its fifth and final season in grand fashion, taking its format of using an obituary and death that framed each episode to a new level by fast forwarding deep into the future to the eventual death of every main character on the ensemble show. Contrast that for instance with The Sopranos' infamous and controversial "Don't Stop Believing" ending, The Wire's panoramic wrap up, and The Shield's haunting comeuppance for Vic Mackey (see much more on this topic here). That's to say that the overwhelming likelihood is that even by the end of the seventh season, the show will still be set in the 1960s or at the very "latest," the early 1970s (the four seasons aired to date back spanned the time period of 1960 to 1965). Therefore, we would presume that the Mad Men series finale will make a major leap forward to the present to see an old (yet very alive!) Don Draper in our modern world. I've thought about this topic from time to time, as you may have already surmised, and I always imagined that we would not get to learn about what happens to Don after the time period in which the show is set (again, the 1960s to early 1970s at the latest). I also imagined that Don's lifestyle, what with the excessive boozing and smoking, would knock him off well before the time of, oh, let's say Reagan's second term or so. So this major tease from Weiner makes us think about Mad Men's ultimate three seasons in a very new light. While of course plans can change, if Weiner's planning holds, we know that we'll get to learn a much more about Don Draper's life and times – more than we really could have hoped to expect until now – before Mad Men is done. All fantastic news, as is the further ease of knowing that Mad Men is locked in to air three additional seasons, something that wasn't necessarily guaranteed as late as this summer.